The Korean Indie band sets new boundaries for the local music scene in the capital of South Korea, as they continue to create and break new records outside its home country. Having turned 5-years-old this year, the four-man band has already secured a spot in World-renowned international music festivals like Coachella this coming April, making themselves the 2nd and youngest Korean band to perform for over 250,000 people over the music-filled weekend in California. 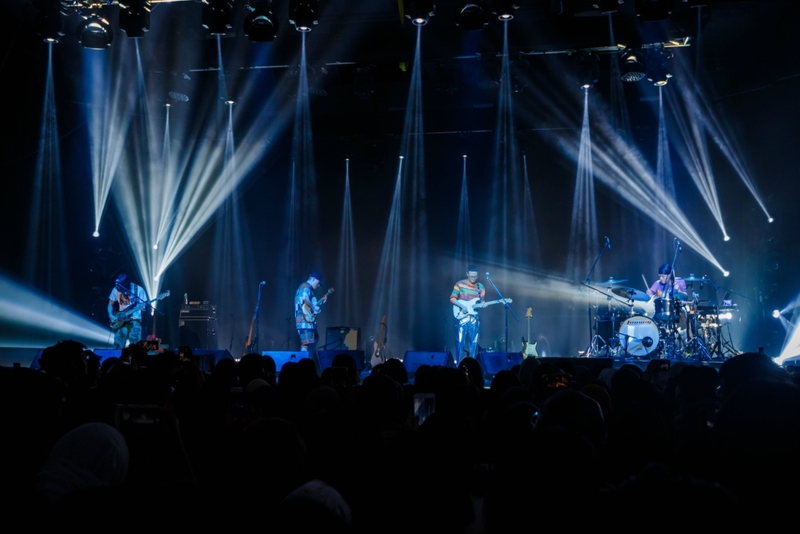 HYUKOH recently performed for a full house at the sold-out venue of KL Live, Kuala Lumpur on the 20th of February 2019. Brought in as part of the Unlimited Groove Festival, an initiative by Umobile to bring its users one stage closer to their favorite Spotify playlist. Since its first introduction in 2017, the telco has seen collaborative efforts with some of the biggest music movers of Malaysia, like Urbanscapes and Good Vibes Festival, allowing Umobile users to benefit from VIP express lanes and advanced priority ticketing. Listen to HYUKOH's entire discography on Spotify here. HYUKOH returned to Malaysia and rocked the stage of KL Live in true rock band fashion.